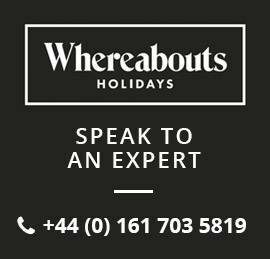 It’s not about us, it’s about you, and our friendly team is here to offer you guidance when you need it and our number 1 priority is to find a holiday that suits you. With several years experience walking, cycling, paddling and having fun in the snow around the world we’re experts in putting together a good holiday for you. We’re keen to share our passion for the great outdoors with a range of active holidays operated by our trusted local partners allowing you to experience new places, new activities and enjoying your natural surroundings without worrying about how you and your bags are getting from A to B. Flights aren’t included, but that’s all part of the adventure – our team can offer carefully catered advice on the best method of reaching your desired location. Or you can choose your own path, giving you the freedom and independence to start your adventure however you see fit. Many of our holidays also allow the option to travel as a group on a private departure or can be tailored to your needs. Take us up on our free holiday consulation service. Just contact us, tell us a little bit about your party and what you'll enjoy and we'll find the ideal adventure holiday for you. Whether travelling alone, as part of a group or with your friends and family we would be delighted to have you as part of our Active Lifestyle Family. For an overview of some of our holidays please see our mini-brochure here. We have carefully hand-picked the best European walking routes that combine fantastic scenery, sightseeing and cultural attractions with great hotels and delicious local food. With a huge range of tours suitable for all ages and abilities, our holidays enable you to get off the beaten track and visit some of the finest cultural attractions, scenery and cities that Europe has to offer. If you are big on adventure but short on time, then one of our micro-adventures is the perfect opportunity to spend a few days doing something out of the ordinary! We have carefully hand-picked a range of short breaks that pack in the maximum amount of excitement in the shortest amount of time.